Want a confident smile you can be proud of? Integrating Orthodontics/tooth whitening and/or Aesthetic veneers can be used to straighten, whiten and give the perfect proportions for your teeth. 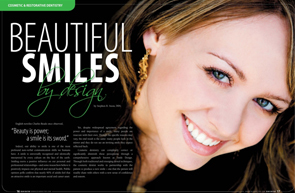 Let our expert Aesthetic Dentists design the perfect new smile for you. Whether it's a Hollywood or Natural style you're looking for, we will make sure that your new veneers help accentuate your facial profile and personality. A new smile with veneers can do wonders for your confidence and help create a youthful, energetic appearance. A new smile can help cover chipped, stained or crooked teeth in just two weeks. Our clinicians, our exceptional personal laboratory technician and yourself take part in creating your "perfect" smile. From colour, shapes to texture, we encourage your to take part in the design process. Our online smile analysis tool. Simply upload a picture of your teeth, and one of our aesthetic dentists will send you a report on how we can improve your smile! Our passion is smiles and helping you achieve the smile you've always dreamt of. We offer complimentary consultations at our smile center in Ashford Kent, where we use high tech photography and flatscreens to discuss how a new smile can transform the way you look. Q. How long does it take to transform my smile? Having a new smile can take as little as 2 weeks, and typically takes two visits to the dental spa. On the first fisit, we prepare the teeth for veneers which are then made in our specialist lobaoratory in North America. On the next visit we try these in, and only "bond" them into place once you're 100% happy with your new look! "In a beautiful smile the teeth are angled towards the middle of the body." 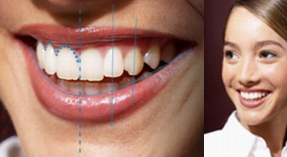 "Without symmetrical gums, beautiful teeth can look like a beatiful picture with an average frame. 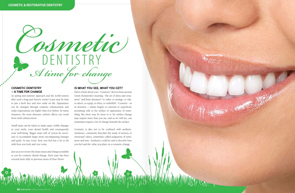 Symmetry of the gums can be acheived with laser gum contouring. " "A youthful, beautiful smile, starts with long, white, gorgeous front teeth. " "Both artists and scientists alike have noticed that beautiful things in nature have what we gold, the gold proportions. 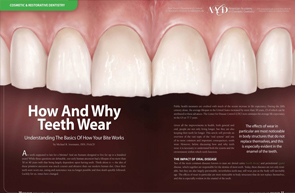 Beautiful veneers are made with this in mind, so your teeth have perfect visual harmony." "The shape and colour of our teeth should be in harmony with the shape of our face, eyes and skin tone. All these things should be considered in the design process."